What are Essential Fatty Acids (EFAs), and why are they important? Omega-3 and Omega-6 fatty acids constitute the two families of EFA’s. EFA’s are considered “essential” because they are needed throughout the human life cycle, cannot be manufactured in the human body, and therefore they must be obtained through our diet on a daily basis for optimal health and wellness. The body must receive a constant and balanced supply of EFAs to ensure proper prostaglandin production. Prostaglandins are beneficial hormone-like compounds that affect virtually every system in the body. They regulate pain and swelling, help maintain proper blood pressure and cholesterol levels, and promote fluidity in nerve transmission. Good fats vs. Bad fats? The “bad” fats are trans-fatty acids and saturated fats from animal products. Trans-fatty acids should be avoided completely; this includes margarine, shortening, and processed foods. Meat and dairy products contain high levels of saturated fat, and should be eaten in moderation. The “good” fats include polyunsaturated Essential Fatty Acids (EFAs). EFAs are considered “essential” because they are needed throughout the human life cycle, cannot be produced in the human body, and therefore must be provided through the diet. Omega-3 and Omega-6 fatty acids constitute the two families of essential fatty acids. Omega-6 fatty acids include corn, soybean, safflower, and sunflower oil. While it is important that your diet include both of these essential fatty acids, it is becoming clear that balance is the key to good health. Cardiovascular Health. Omega 3 fatty acids have also been proven to work wonders for your heart and the miles and miles of arteries and veins that make up your cardiovascular system. They help to lower cholesterol, triglycerides, LDLs and blood pressure, while at the same time increasing good HDL cholesterol. This adds years to your life expectancy. Protection from Stroke and Heart Attack. When plaque builds up on arterial walls and then breaks loose, it causes what’s known as a thrombosis, which is a fancy way of saying clot. If a clot gets stuck in the brain, it causes a stroke and when it plugs an artery, it causes a heart attack. Research shows omega 3 fatty acids break up clots before they can cause any damage. Better Brain Function and Higher Intelligence. Pregnant and nursing mothers can have a great impact on the intelligence and happiness of their babies by supplementing with fish oil. For adults, omega 3 improves memory, recall, reasoning and focus. You’ll swear you’re getting younger and smarter. Less Depression and Psychosis. Making you smarter is not all omega 3 does for your brain. Psychiatry department researchers at the University of Sheffield, along with many other research studies, found that omega 3 fish oil supplements “alleviate” the symptoms of depression, bipolar and psychosis(Journal of Affective Disorder Vol. 48(2-3);149-55). Lower Incidence of Childhood Neurological and Developmental Disorders. Just to show how fish oil fatty acids leave nobody out, studies show that children (and adults) with ADD and ADHD experience a greatly improved quality of life. And those with dyslexia, dyspraxia and compulsive disorders have gotten a new lease on life thanks to omega 3 oils. Reduction of Breast, Colon and Prostate Cancer. And finally, omega 3 fish oil has been shown to help prevent three of the most common forms of cancer – breast, colon and prostate. Science tells us that omega 3s accomplish this in three ways. They stop the alteration from a normal healthy cell to a cancerous mass, inhibiting unwanted cellular growth and causing apoptosis, or cellular death, of cancer cells. Where can I get a direct source of EFAs ? Omega-3 fatty acids, EPA and DHA, are found in cold water fish such as sardines, mackerel, anchovies, and cod liver. GLA, an Omega-6 fatty acid, is abundant in borage and evening primrose oils. Omega-3 fatty acids fall into two major categories: plant derived (flax seed oil, yielding alpha linolenic acid, or ALA) or marine derived (fish oil, yielding both EPA and DHA). The human conversion of ALA to EPA and DHA is somewhat slow and can be inhibited by various conditions such as a diet high in linoleic acid (Omega-6), trans-fatty acids such as fast foods and baked goods, alcohol intake, certain health conditions, and vitamin and mineral deficiencies (B3, B6, C, zinc, magnesium). Fish, on the other hand, is a direct source of EPA and DHA. The general consensus is that only about 15% of ALA converts to EPA, and it may not convert to DHA at all. How soon will I see results? It will vary depending on the concentration of the fish oil, your current nutritional state, dosage, and current health. We often will hear that our customers “feel better” and experience “clearer thinking” and “an enhanced well being” within 2 weeks. For better results, we recommend you take EFAs daily for at least two months to evaluate their benefits, and reduce your intake of hydrogenated and trans-fats. Generally, none. Consumers typically report having more energy and greater mental clarity while taking EFAs. If you experience repeat (burping) or a bad taste, your supplement may be rancid (oxidized) or your body may not be manufacturing enough lipase, the digestive enzyme our bodies make to digest fats and oils. If you haven’t ingested fish oils for a long time, it might take a week or so for your body to adjust and make more of this enzyme. Is it safe to take EFAs derived from fish? I’ve heard that fish oil contains mercury and other environmental toxins. Fish oils may contain environmental toxins that accumulate in a fish during its life span. Potential toxins can be virtually eliminated given the use of high quality raw materials, and a technologically advanced refining process utilizing the very latest distillation technologies. You must make sure your fish oil is molecularly distilled, this is a process that utilizes a leading edge enzymatic process where any potential heavy metals and dioxins are removed. Third-party testing documents the complete absence of heavy metals and dioxins (where heavy metals are tested down to 25 particles per billion and dioxins down to 0.5 particles per trillion). Investigate the manufacturing process. How is the fish oil manufactured, and what are the manufacturing standards? Smell. Does the fish oil smell fishy? 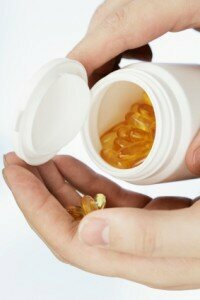 If it smells fishy, the fish oil has most likely been exposed to oxygen and is becoming rancid. Taste. Does the fish oil taste fishy? The freshest fish oils should not taste fishy. Avoid fish oils that have really strong fruit flavor added to them because they are most likely trying to hide the fishy flavor of rancid oil. BioVeda now offers two Fish Oil Supplements, Krill Oil and Fish Oil – Mega EPA/DHA. We provide the purest and highest quality fish oils. Learn More About Our Products and Order Fish Oil Today!